An eBook is a digital download. It is not a physical book, it is an electronic book that you read on your computer screen or you can print it from your computer to your printer. Need forms fast? Just need a few forms? CalBIT forms are included in your eBook purchase. You can print our forms direct to your printer. 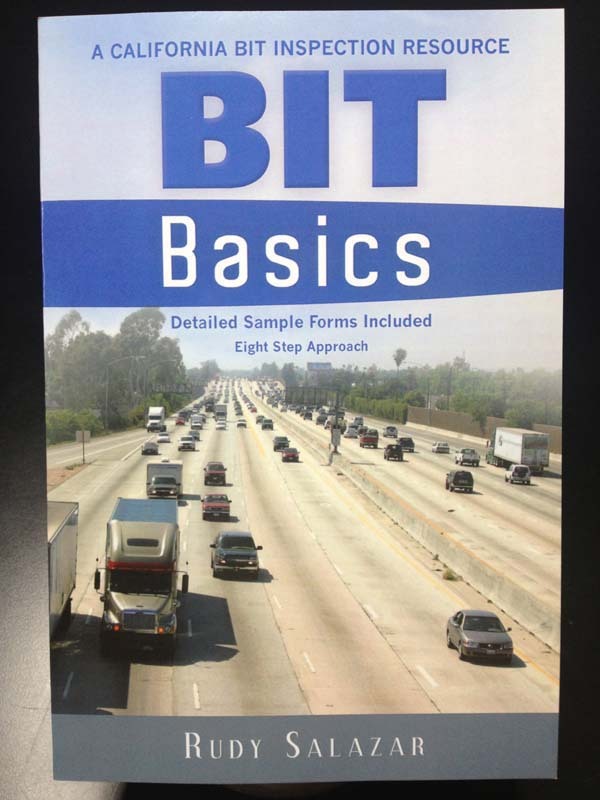 Once you have read this booklet you are going to be on your way in becoming a full-fledged BIT Inspection Program wizard, using BIT basic fundamentals as a foundation to save you, and your fleet operation time, money, and stress. Topics covered include applying for a BIT, the Inspection process, Vehicle Identification, New Hire drivers, Driver records, Driver Vehicle inspection Reports, & Mechanical inspections. Throughout this eBook we also provide helpful links to get the information and supplies you need to be successful. All forms forms you need to run your BIT program are included.